The Resilience in Communities After Stress & Trauma (ReCAST) Minneapolis Program is funded through a multi-year grant from the Department of Health and Human Services' Substance Abuse and Mental Health Services Administration. ReCAST Minneapolis is intended to assist high-risk youth and families, and promote resilience and equity in communities that have recently faced civil unrest through implementation of evidence-based violence prevention and community youth engagement programs, as well as linkages to trauma-informed behavioral health services. SAMHSA created the ReCAST Program to support communities that have lived through demonstrations of mass protest in response to police-involved shootings of unarmed African-American males. 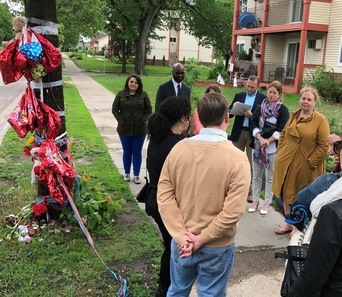 Five representatives from SAMHSA and the Now Is The Time Technical Assistance Center (NITT-TA) visited Minneapolis to offer expertise and support to the City of Minneapolis as a grantee. The ReCAST Team from the City extended invitations to meeting and events to the ReCAST Advisory Team as well as community members. The sessions were well attended and allowed community members and City staff to have meaningful conversations. Prior to the last session, two City Council Member's aids gave a community tour of North Minneapolis to the visitors. After the community tour, ReCAST held a strategic planning session at the Urban League. The session was open to ReCAST Minneapolis community partners. The meeting provided time and space for reflections regarding the community tour. The rich dialogue that followed provided SAMHSA and NITT-TA staff with a better understanding of the current work occurring in North Minneapolis specifically around community and police relations. Central to the discussion was the shooting of Jamar Clark and the occupation that occurred afterward at the 4th precinct. The discussion addressed how there are various perspectives within the larger community that exist regarding the occupation. The discussion then shifted to how the strategic plan will be implemented in regards to the goal areas of: trust, capacity and shared decision-making. Key themes were: defining healing at an individual level (person, community, etc) and engaging the community without taxing or re-traumatizing them. Specifically between police and community the ability to say “I am wrong” was a critical point of emphasis. Furthermore, it’s important that citizens are asked “how do you want US to acknowledge mistakes?” in order to ensure sincerity that both sides feel is genuine. The ReCAST Minneapolis Program covers the entirety of Minneapolis with an emphasis on the Northside, the Southside and Cedar-Riverside. With the site visit being restricted to two days, there was not enough time for a community tour of the other areas of Minneapolis. The SAMHSA and NITT-TA staff will be returning to see the rest of the city in order to offer appropriate assistance. Three times a year, the Headwaters Foundation partners with the Bush Foundation to offer Community Innovation Grants. They recently awarded a total of $130,000 to 13 organizations that are pursuing community-led problem solving, innovation, equity, and justice in their communities. One of those organizations is Minneapolis Promise Zone partner, Voices for Racial Justice. Congratulations! Another round of applications for Community Innovation Grants will open June 7, 2017. More information. The "Get Summer" program for teens will provide a safe, fun environment for teen to become well-rounded individuals, engaging them to develop their social-emotional skills, character and leadership to support success in school and in life. Teens will have access to 25 YMCA of the Greater Twin Cities locations to enjoy basketball, swimming pools, splash decks, fitness centers, group exercise classes, free Wi-Fi, and more! To register, visit your local YMCA June 1-12, 2017. The cost of this week-long camp is $650 for Minnesota residents of $750 for out-of-state residents. This fee includes all expenses throughout the week; including food, lodging, transportation and all activity costs. In addition to the online application, you will also need two letters of recommendation. One from a teacher, and one from a non-relative adult. There is also a $50 application fee for camp. Financial assistance is available based on individual need. Please indicate you are requesting financial assistance on the application and you will be forwarded a scholarship application. Application deadline in June 30th. Years after the recession rocked some Minneapolis neighborhoods with foreclosures, the city owns hundreds of vacant lots - and pays thousands of dollars a month to keep them tidy. About 400 of the 500 lots are on the North Side, according to the city's department of Community Planning and Economic Development (CPED). The city acquired most of them relatively recently, often after they fell into tax forfeiture, but some of the lots have been empty since the late 1960s. Minnesota boasts the largest monthly job gains in nearly four years. Points to keep in mind: Minnesota's racial disparities seem to be slowly but surely diminishing, based on unofficial estimates from the Current Population Survey. To review: Over the past 12 months through April, the unemployment rate for black Minnesotans has averages 8.1 percent compared to 3.1 percent for whites. This is down from one year ago when these rates were 12.0 percent and 2.9 percent. The 8.1 percent rate is the lowest we have seen except for two months in late 2016 when we hit 8.0 percent and 7.9 percent. Put another way, there were 6,300 fewer unemployed black in Minnesota than there were a year ago. The Minneapolis Public Housing Authority owns dozens of high-rises and hundreds of single-family homes and townhouses, among other properties - and they need millions of dollars worth of maintenance. As the new executive of MPHA, Greg Russ has to figure out where to start making fixes. He also has to come up with a way to pay for the repairs. A viral music video is just the start for this Minneapolis-based youth activism group that's taking on one of America's worst food deserts. For the past year, Ogolsbey has been working for the Minneapolis-based organization Appetite For Change (AFC), which aims to reshape the way that the local community (and beyond) approached cooking, eating, and growing food. Founded in 2011 by Princess Titus, Michelle Horovitz, and Latasha Powell, AFC's primary objective is "to use food as a tool to build health, wealth, and social change." For years, several organizations - groups like Appetite For Change, Project Sweetie Pie and the Wilder Foundation's Mobile Market - have worked to increase access to healthy food on the city's north side. But more recently there's been a big push from funders to increase that work as part of an effort to address the area's food and health problems. In fact, last month, a handful of north Minneapolis organizations received $1.5 million in grants to grow their work around food access in the area, with the idea of eventually creating a self-sustaining food network. When it comes to poor Americans, the Trump administration has a message: Government aid is holding many of them back. Without it, many more of them would be working. Office of Management and Budget (OMB) Director Mick Mulvaney said as much when presenting the administration's budget plan this week to cut safety net programs by hundreds of billions of dollars over the next 10 years. The Striving Readers Comprehensive Literacy (SRCL) Program awards competitive grants to advance literacy skills, including pre-literacy skills, reading, and writing, for children from birth through grade 12, with an emphasis on disadvantaged children, including children living in poverty, English learners, and children with disabilities. The Javits program supports evidence-based research, demonstration projects, innovative strategies, and similar activities designed to build and enhance the ability of elementary and secondary schools nationwide to identify gifted and talented (as defined in this notice) students and meet their special educational needs. The CCAMPIS Program supports the participation of low-income parents in postsecondary education through provision of campus-based child care services. The Department of Health and Human Services (HHS), Administration for Children and Families (ACF), Office of Family Assistance (OFA) is announcing the solicitation of applications to competitively award cooperative agreements in accordance with Section 413(b) of the Social Security Act. Cooperative agreements awarded under this Funding Opportunity Announcement will support projects to state, county, and tribal Temporary Assistance for Needy Families (TANF) programs to plan and develop a comprehensive approach for integrating innovative strategies in one of two select activities: (1) to increase the use of innovative client coaching to foster the success of TANF participants in securing and retaining work; or (2) to integrate career pathway, occupation-focused employment models into TANF programs. The overall purpose for the programs, services, and activities supported by this funding is to improve the employment outcomes of TANF participants. In addition, the program is intended to foster connections and partnerships between state TANF agencies and local scholars/ researchers interested in TANF management and policy. Successful applicants will participate in a TANF Policy Academy for Innovative Employment Strategies as a part of the concept development process for implementation and assessment. The over-arching goal of this NIA R25 program is to support educational activities that enhance the diversity of the biomedical, behavioral and clinical research workforce in aging. The over-arching goal of this NHLBI R25 program is to support educational activities that enhance the diversity of the biomedical, behavioral and clinical research workforce by providing research training and research opportunities to undergraduate and health professional students. The purpose of this Funding Opportunity is to invite proposals for funding from private, non-profit microenterprise development organizations; microenterprise development programs run by State/Local/Tribal Governments; or Indian tribes interested in providing assistance and guidance to disadvantaged microentrepreneurs and/or microenterprise development organizations. The Upward Bound (UB) Program is one of the seven programs known as the Federal TRIO Programs. The UB Program is a discretionary grant program that supports projects designed to provide students with the skills and motivation necessary to complete a program of secondary education and to enter into, and succeed in, a program of postsecondary education. There are three types of grants under the UB Program: UB; Veterans UB; and UB Math and Science (UBMS) grants. In this notice we invite applications for Veterans UB (VUB) grants only. The invitations to apply for UB and UBMS grants were published in an earlier issue of the Federal Register. The VUB Program supports projects designed to prepare, motivate, and assist military veterans in the development of academic and other skills necessary for acceptance into and success in a program of postsecondary education. The National Endowment for the Arts’ support may begin no earlier than March 1, 2018 and extend for up to 24 months. An organization may submit only one proposal under this program solicitation. Program Description: In recent years, the National Endowment for the Arts’ research agenda has focused on yielding new knowledge about the value and impact of the arts. Through the National Endowment for the Arts Research Labs (NEA Research Labs), we seek to extend this agenda and its impact by cultivating a series of transdisciplinary research partnerships, grounded in the social and behavioral sciences, to produce and report empirical insights about the arts for the benefit of arts and non-arts sectors alike. Each NEA Research Lab will define its own research agenda, conduct a research program to implement that agenda, and prepare reports that will contribute substantively to a wider understanding of one of three areas of special interest to the National Endowment for the Arts: 1. The Arts, Health, and Social/Emotional Well-Being a. Therapeutic Approaches and Benefits b. Non-Therapeutic Approaches and Benefits 2. The Arts, Creativity, Cognition, and Learning 3. The Arts, Entrepreneurship, and Innovation We anticipate that a sustained engagement with these topic areas, and with the corresponding research questions we frame below, will have distinctive benefits not only for the arts community, but also for sectors such as healthcare, education, and business or management. We intend for the NEA Research Labs to serve as “hubs” or centers of excellence in the domain of interest. Each NEA Research Lab will develop a pipeline of projects or products, even while conducting at least one major study. In addition, NEA Research Labs will be positioned to fulfill ad hoc analyses or information requests concerning the research agenda being pursued, as may be required by the National Endowment for the Arts during the project period of performance. Such requests will not involve new data collection. Summer Stipends support individuals pursuing advanced research that is of value to humanities scholars, general audiences, or both. Eligible projects usually result in articles, monographs, books, digital materials and publications, archaeological site reports, translations, or editions. Projects must not result solely in the collection of data; instead they must also incorporate analysis and interpretation. Summer Stipends support continuous full-time work on a humanities project for a period of two consecutive months. Summer Stipends support projects at any stage of development. The Empowered Communities for a Healthier Nation Initiative seeks to demonstrate the effectiveness of collaborations with academic research centers, prevention research centers, teaching hospitals, and Native American Tribes and Tribal organizations to reduce significant health disparities impacting minorities and disadvantaged populations through the implementation of evidence-based strategies with the greatest potential for impact. The program will serve residents in counties disproportionately impacted by the opioid epidemic; reduce the impact of serious mental illness and improve screening for serious mental illness at the primary care level for children, adolescents and/or adults; and reduce obesity prevalence and disparities in weight status among disadvantaged children and adolescents. FYSB is forecasting a funding opportunity announcement for the TLP and for MGH for a five year project period. The TLP and MGH projects will work to implement, enhance, and/or support promising intervention strategies for the effective transition of homeless youth (for the purposes of MGH projects, homeless youth and their dependent children to sustainable living. Both projects must provide safe, stable, and appropriate shelter for up to 21 months and comprehensive services that supports the transition of homeless youth to stable living. The Administration for Children and Families (ACF), Administration on Children, Youth and Families (ACYF), Family and Youth Services Bureau (FYSB) support organizations and communities that work every day to put an end to youth homelessness, adolescent pregnancy, and domestic violence. FYSB's Runaway and Homeless Youth (RHY) program is accepting applications for the Basic Center Program (BCP). The purpose of the BCP is to provide temporary shelter and counseling services to youth who have left home without permission of their parents or guardians, have been forced to leave home, or other homeless youth who might otherwise end up in the law enforcement or in the child welfare, mental health, or juvenile justice systems. The purpose of these Funding Opportunity Announcements (FOAs) is to support observational or intervention research focused on reducing health disparities in tobacco use in the United States. Specifically, this FOA is intended to stimulate scientific inquiry focused on innovative tobacco control policies. The purpose of this project is to increase community integration and independence of individuals with developmental disabilities and to improve the quality of home and community-based services (HCBS) by developing and testing one or more model approaches of a coordinated and comprehensive system that includes two interrelated core components for enhancing and assuring the independence, integration, safety, health, and well-being of individuals living in the community: (1) Community Monitoring and (2) Community Capacity Building. The purpose of this funding opportunity announcement (FOA) is toenhance the participation of individuals from diverse backgrounds underrepresented in cardiovascular, pulmonary, hematologic and sleep disorders research across the career development continuum. The goal of this Funding Opportunity Announcement (FOA) is to efficiently use the existing cancer registry infrastructure by augmenting data already collected with additional information needed to understand health disparities among people diagnosed with cancer. Specifically, this FOA will support the study of factors influencing observed health disparities within the framework of population-based cancer registries by the inclusion of data not routinely collected by or linked to the registries. The Health Disparity Research Award supports new ideas based on innovative concepts or methodologies for health disparity research with the potential to make an important contribution toward eliminating death from prostate cancer and enhancing the well-being of men impacted by the disease. Studies proposed for this award mechanism are expected to improve the understanding of and/or address factors that contribute to differences in the disease experience across populations, ultimately contributing to eliminating disparities in prostate cancer incidence, morbidity, mortality, and survivorship. Applicants for this award must explicitly state how the proposed research is related to an area of prostate cancer health disparity. The PCRP is interested in research that addresses all different aspects that contribute to health disparity in prostate cancer, including social, cultural, and/or biological contributors. This initiative is composed of three categories and eligibility are different for each category. 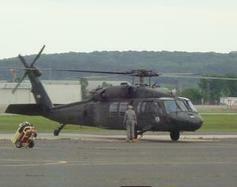 Category 1: Training and Technical Assistance. The Office of Juvenile Justice and Delinquency Prevention (OJJDP) will provide funding to a national training and technical assistance (TTA) provider to deliver intensive TTA to states and localities that are utilizing a data-driven, collaborative, cross-disciplinary, multi-agency stakeholder committee approach to develop and implement an integrated strategic plan to strengthen and improve their juvenile justice policies, procedures, programs, and practices at the system-wide level. Eligible applicants are limited to private nonprofit organizations (including tribal nonprofit) and institutions of higher education (including tribal institutions of higher education). Category 2: State Planning Grants. OJJDP will provide funding to assist states in the development of statewide juvenile justice reform strategic plans. Eligible applicants are limited to states (including territories and the District of Columbia). OJJDP envisions a nation where our children are healthy, educated, and free from violence. If they come into contact with the juvenile justice system, that contact should be rare, fair, and beneficial to them. OJJDP supports states and communities in their efforts to develop and implement effective and coordinated prevention and intervention programs and to improve the juvenile justice system so that it protects public safety, holds justice-involved youth appropriately accountable, and provides treatment and rehabilitative services tailored to the needs of youth and their families. This program will assist OJJDP in coordination and assessment of its juvenile justice reform programs. The Youth with Sexual Behavior Problems (YSBP) Program provides support to agencies that use a comprehensive, multidisciplinary approach to provide intervention and supervision services for youth with sexual behavior problems and treatment services for their child victims and families. This program will provide project funding to eligible nonprofit organizations (see Eligibility) that propose to develop, use, and strategize around the use of technology in innovative ways to interact directly with crime victims and provide information, referral, crisis assistance, and longer term help. Through this solicitation, OVC seeks to support organizations which demonstrate innovative strategies to create, expand, or enhance use of technology initiatives on a national scale to improve response, services, and access for victims of crime. Evidence-based practice is the purposeful implementation of processes that have been proven by research to be most effective. The concept is an evolving one in the field of corrections, and within the field of librarianship it is also beginning to be discussed. The correctional librarian is uniquely positioned between both worlds, providing the services of a special library in a correctional setting for a population of patrons with a variety of criminogenic needs affecting their personal development toward a life free of crime.Evidence-Based Librarianship in Corrections is an area of exploration for the National Institute of Corrections to address the professional needs of the nation’s library service providers working in corrections. By weaving together the best of research and evidence from both the corrections and library services fields, this work aims to fill the lack of information available to professionals in the field looking for proven, evidence-based approaches to professional questions. Under the OVC FY 2017 Action Partnerships for National Membership, Professional Affiliation, and Community Service Organizations: Post-Conviction Services to Victims of Crime solicitation, applicants will be asked to address one or a combination of the following areas: Victim services throughout post-conviction involvement in criminal cases through appeal, parole, and psychiatric review hearings, etc. Unique issues in serving victims involved with cold cases (it is understood there may not be an actual conviction in these instances), capital cases, and/or wrongful conviction cases. Emerging issues such as retroactive legislation making necessary protocols for victim notification and other services and support. Provision of victim services through facilitated dialogue processes such as victim driven voluntary restorative justice programs and/or diversion programs or tribal peacemaking programs in lieu of conviction. Field-generated ideas or other issues related to post-conviction services not addressed above where applicants can effectively demonstrate a need or gap. The Second Chance Act of 2007 (Pub. L. 110-199) provides a comprehensive response to the increasing number of incarcerated adults and juveniles who are released from prison, jail, and juvenile residential facilities and returning to communities. There are currently over 2.2 million individuals serving time in our federal and state prisons, and millions of people cycling through tribal and local jails every year . Ninety-five percent of all people incarcerated today will eventually be released and will return to communities. The coordination of reentry of members of Native American tribes is even more complex given that they can return from federal, Bureau of Indian Affairs (BIA), state, local, and tribal facilities. The Second Chance Act helps to ensure that the transition individuals make from prison, jail, or juvenile residential facilities to the community is successful and promotes public safety.